Stu Nahan, a onetime minor-league hockey goalie who delivered sports reports on Los Angeles television and radio for decades, has died. He was 81. Nahan died on December 26 at his Studio City home, after battling lymphoma, a form of cancer, since January, his family said. In 1968, Nahan began doing nightly sports reports on KABC-TV Channel 7. He moved to KNBC-TV Channel 4 in 1977 and to KTLA-TV Channel 5 in 1988, retiring from television in 1999. Nahan also appeared in a number of movies and television episodes. After landing a bit part in the 1971 TV movie "Brian's Song," he had a string of film roles as a sports commentator, most notably in Sylvester Stallone's series of "Rocky" films. He also played himself in "Fast Times at Ridgemont High" (1982), interviewing the character Jeff Spicoli -- played by Sean Penn -- in a dream sequence. Nahan was also a radio sports talk show host at KABC-AM (790) and most recently worked on Dodger pre- and postgame radio shows on KFWB-AM (980). A native of Los Angeles, Nahan moved at age 2 with his mother to Canada, where he grew up playing hockey. A star goalie at McGill University in Montreal, he signed a contract with the Toronto Maple Leafs of the National Hockey League in 1946. He was assigned to the minor-league Los Angeles Monarchs, who through the early 1950s played at the Pan Pacific Auditorium. When the Monarchs folded in 1952, so did Nahan's pro hockey career -- which, he admitted, wasn't a promising one. He found work driving a delivery truck, and one day in 1954 he came across Bob Kelley, a prominent sports announcer who was the original voice of the National Football League's L.A. Rams. Kelley, recalling Nahan's gift of gab when he was playing for the Monarchs, offered to teach him the broadcasting business. Nahan worked as a gofer for Kelley during broadcasts of the Pacific Coast League's Los Angeles Angels, who played at the old Wrigley Field in L.A.
"I kept the stats and got coffee, and every once in a while I'd get to broadcast an inning," Nahan recalled in an interview with former Times columnist John Hall in 1980. "The first year, I worked for nothing. The next season I got $50 a week. I had it made," he said. "I got special assignments driving visiting clubs to the ballpark. I'd bus the team to the park, do my radio work and then drive the team back to the hotel." In 1956, Nahan landed a play-by-play job on radio with the minor league Modesto Reds. In December of that year he happened to see the first newscast of a new Sacramento television station. Nahan called the station the next day to complain about the sports segment and ended up getting his first job doing nightly TV sports reports on KCRA, an NBC affiliate. While in Sacramento he was also the host of a children's TV program, appearing as "Skipper Stu." He would show cartoons while piloting his boat, the Channel Tender, accompanied by an octopus puppet, O.U. Squid. Nahan later moved to Philadelphia to host a children's show as "Captain Philadelphia" on WKBS. He also did play-by-play for the Flyers hockey team and Eagles pro football team. In 1968 Nahan returned to Los Angeles and began doing sports reports at Channel 7. Nine years later he moved to Channel 4 to replace Ross Porter, who left the station to become a play-by-play announcer for the Dodgers. 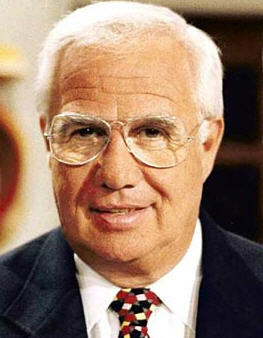 In 1986, Channel 4 chose not to renew Nahan's contract, and Fred Roggin became the station's lead sportscaster. Nahan landed a job doing sports on the KABC radio morning show "Ken and Bob Company." The next year he replaced Bud Furillo on the afternoon "Sportstalk" show while continuing his role on "Ken and Bob." In 1988 Nahan was hired at Channel 5 to replace Keith Olbermann, who left for KCBS-TV Channel 2. Nahan continued with his radio work for a while as well. By September 1997, Nahan's role at Channel 5 had been reduced to periodic commentaries and occasional assignments, and a few months later Tony Hernandez was hired to replace Nahan as the station's main sportscaster. In 1999, Nahan was dismissed altogether. He twice served as the president of the Southern California Sports Broadcasters organization, first in 1990 and '91 and then continuously from 1996. Nahan is survived by his wife, Sandy; daughter Kathleen Derington; sons Mick and K.C. ; six grandchildren; and seven great-grandchildren.